Mellotrons and Novatrons were produced in England by Streetly Electronics, Birmingham, from the early ’60s until the early ’80 by Leslie Bradley and his brothers Frank and Norman. 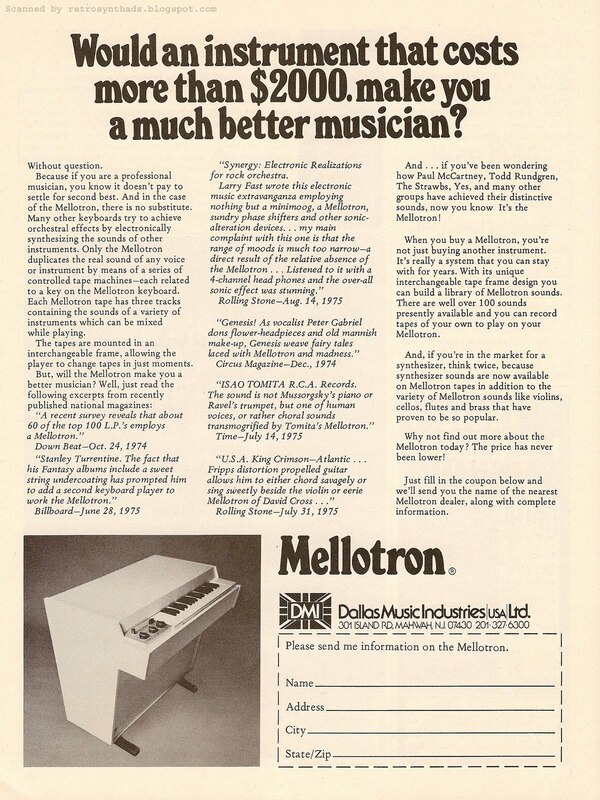 The original Mellotron was designed as an expensive domestic novelty instrument and were based, knowingly or not on the Chamberlin a very similar tape-sample based instrument from the USA. The Mellotron was an analogue precursor of the modern digital sampler using pre-recorded strips of magnetic tape rather than digital samples. Under each key was a strip of magnetic tape with a recorded sound that corresponded to the pitch of the key (The Mark II had two keyboards of 35 notes each making a total of 1260 seperate recordings). The instrument played the sound when the key is pressed and returns the tape head to the beginning of the tape when the key is released. This design enables the recorded sound to keep the individual characteristics of a sustained note (rather than a repeated loop) but had a limited duration per note, usually eight seconds. The keyboard was fully polyphonic and could reproduce a wide range of wind and string instruments as well as percussion. Most Mellotrons had 3 track 3/8″ tapes, the different tracks being selectable by moving the tape heads across the tape strips from the front panel. This feature allowed the sound to be easily changed while playing and made it possible to set the heads in between tracks to blend the sounds. 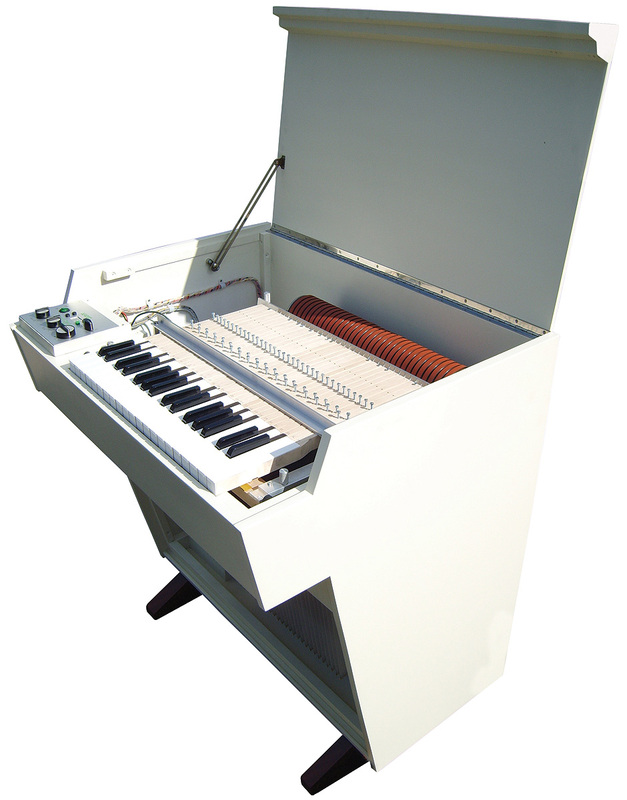 Despite attempting to faithfully recreate the sound of an instrument the Mellotron had a distinct sound of its own that became fashionable amongst rock musicians during the 1960’s and 1970’s. 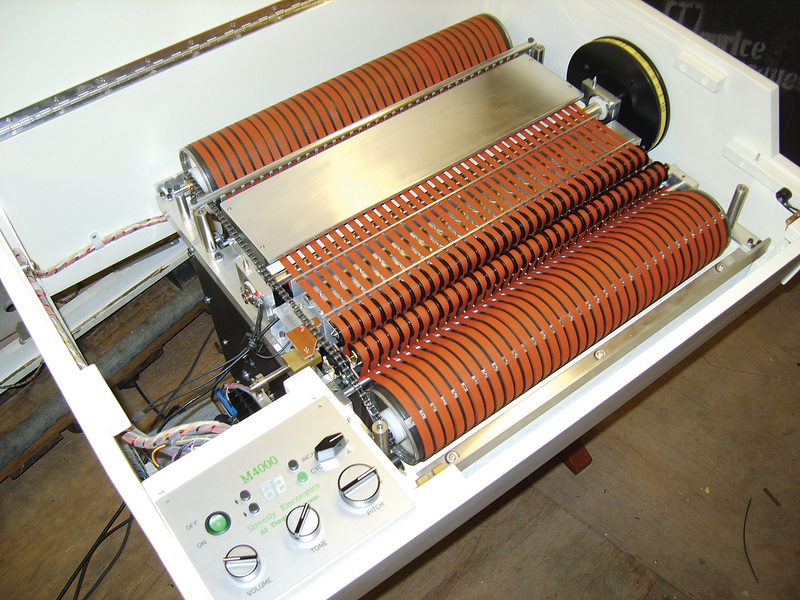 The Novatron was a later model of the Mellotron re-named after the original company liquidised after a legal dispute in the USA in 1977. Melltrons became obsolete in the 1980’s with the popularisation of synthesisers and later digital samplers and the Novatron/Mellotron company folded in 1986. Despite this, the nostalgia for the instrument continued and Bradley’s sons restarted the Mellotron company around 2000 with the re-launch of a digitally enhanced Mk4000. I have a Mellotronics Limited, Mod# M300, Ser# 3/001 Mellotron. I am trying to find some history of the recording studio in which it was played in London, England and who my have used it on their recordings. I have received it from an artist named Jimmy Velvet who had bought it from a studio in London in the late 60’s, but can’t remember which one. Apart from BJH and the Moody Blues (who had their own instruments), the only other bands I know of who used the M300 were Gentle Giant and Marmalade. Oh, I think the flute on John Rowles’s ’68 hit “If I only had Time” is quite possibly from a 300. Marmalade did recording at Decca’s West Hampstead studio so maybe it came from there?. No, the instrument used on Strawberry Fields was a Mark 2. Each of the Beatles had one.